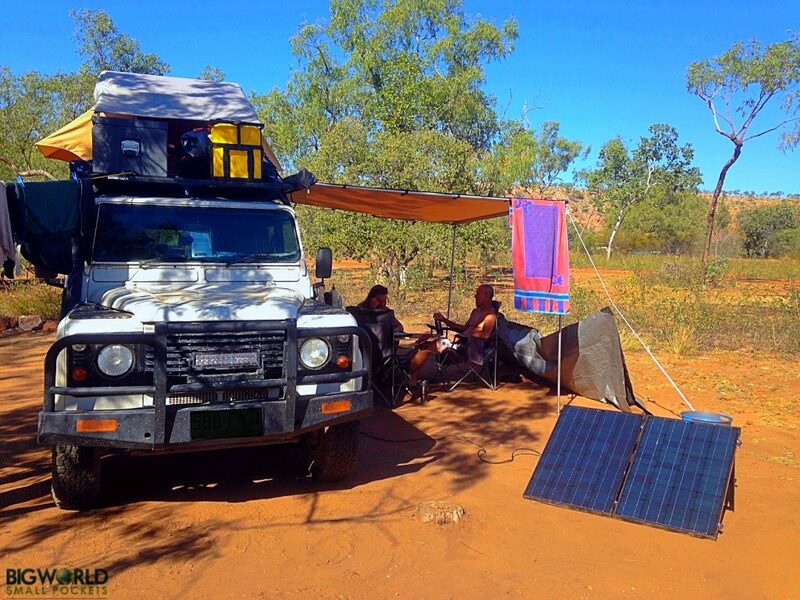 8 months living on the road, in a car, without a kitchen can be a hard job for anyone to manage. If you’re a vegan and a health nut like me however, it can be one of the toughest parts about travel. But I’ve done it and I’m still alive, and I’m still healthy! 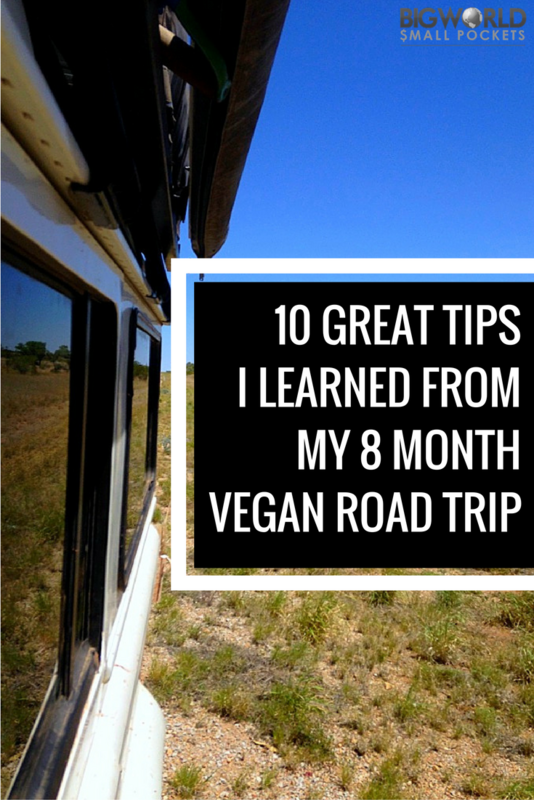 So here are 10 great tips I learnt from my 8 month vegan road trip. This is a great and simple tip that I used to apply at home, but has been invaluable on my vegan road trip too. Essentially cooking more than you need isn’t about being greedy, it’s about stock-piling yummy meals, so that you instantly have something for the next few days without having to go through all the hassle of cooking on the road, in the wind, again. Normally I make a huge meal, such as a vegan curry, every couple of days and then, spoon a lot of it into tupperware so I can enjoy it at a later date. In the long run, this saves a lot of time and effort, especially crucial on long driving or busy sightseeing days. Buying hard fruit and veg, like potatoes, carrots and apples, is a great piece of advice I learnt from my vegan road trip. Not only do these items not have to go in the fridge – saving space for your tupperware meals – but they can also withstand a bit of bumping and grinding in the back of your vehicle too! 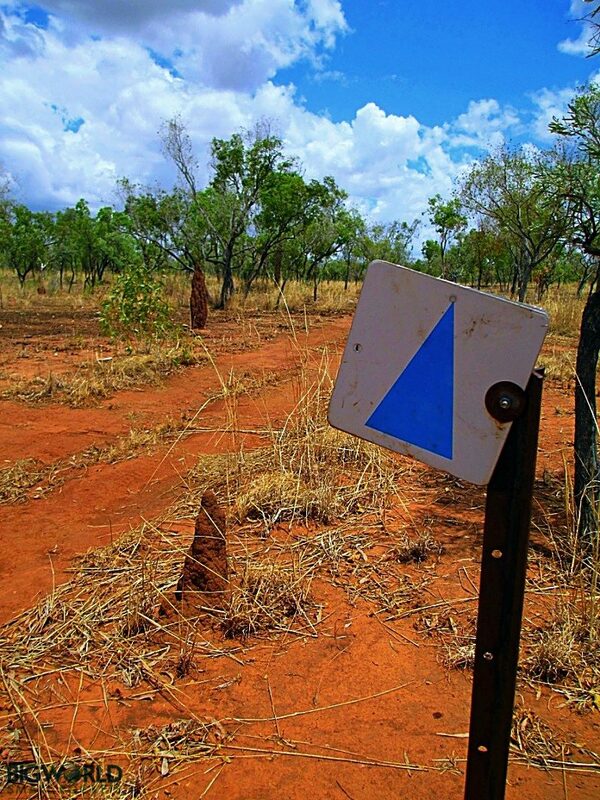 This is particularly helpful for those of us undertaking 4wd road trips, where the poor old fresh produce you’ve bought does take a bit of a hammering at times! 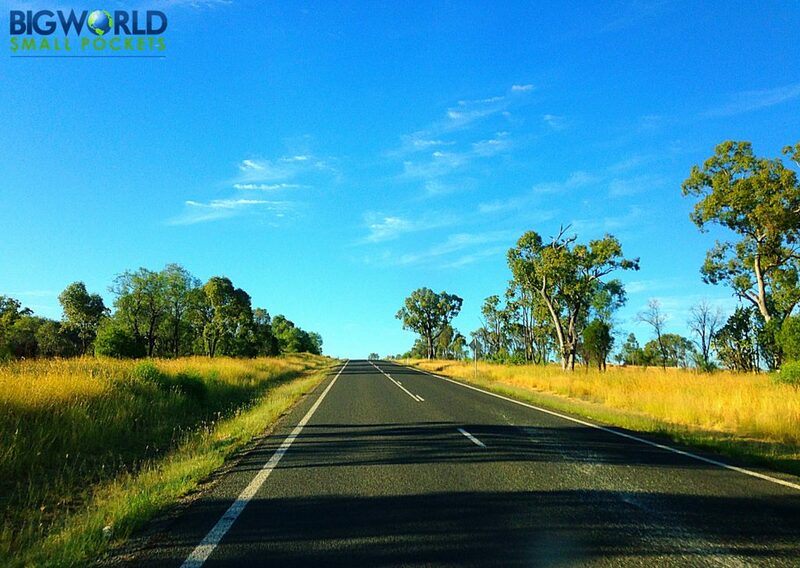 At the start of our huge road trip around Australia, I was buying bags of pulses like chickpeas, lentils and beans, because I thought they’d save me space and money. However, one of the best vegan road tips I have is that this isn’t necessarily true! Pulses in bags need to be soaked – this takes up a lot of your precious water supply. They then also need to be cooked for a long period of time – this takes up a lot of your precious butane! Additionally, the bags don’t actually take up much less space than the tins! For all these reasons, I’ve now stopped buying bags of pulses and have swapped to tins instead. I can also buy organic pulses in tins, which I like. As a vegan, I take fairly regular iron and B12 supplements. While it might seem like a big outlay, I’m really glad a bought a big jar of each of these before hitting the road and I suggest, if you’re planning a vegan road trip, that you do the same. This is especially true if you’re going to be travelling remote, where such products may not be available. Buying them at home, also means you can guarantee you’ll be able to purchase the brand of supplement you like and take normally. A friend of mine, in a moment of fleeting genius, once profoundly coined us the houmous generation, and I’ve got to admit, she pretty much had her finger on the money in this instance. After all, who doesn’t like this healthy, delicious and versatile dip or spread? Houmous is a daily staple for me at home, especially as a vegan, but as I don’t like buying store-bought versions, all that blending and mixing is way too much hassle on the road without the right equipment. So I’ve short circuited the whole thing and now just eat tahini instead! One of the major ingredients in houmous anyway, tahini gives you a similar texture and similar colour-product that is also a good protein and calcium hit in its own right. And if you’re eating on the move, it’s easy to just grab a jar, stick a couple of carrot or celery sticks in and call it lunch! Hoorah! Never a big fan of the rice cake before I began my began road trip, I was even less of a fan of the dry, old corn cake! Now however, these 2 treats are firm friends of mine, which I’ve grown to love on the road because they are light, easy, quick, non-perishable and way healthier than bread. I always try to choose the organic range and love them with either tahini and grated carrot (see #6) or avocado and cherry tomato on top. Corn cakes taste a bit like popcorn and can be super yummy in their own right! I also do a mean dessert rice cake special with the clever use of banana and sultanas! Yummo! Luckily, we had the foresight to get this one right from the start when we begun our vegan road trip and thank goodness! That’s because, some days, even a 70l fridge isn’t big enough for all our fresh produce and tupperware! That said, we have been travelling through 35+ temperatures on our Aussie road trip, so everything HAS to stay cool. 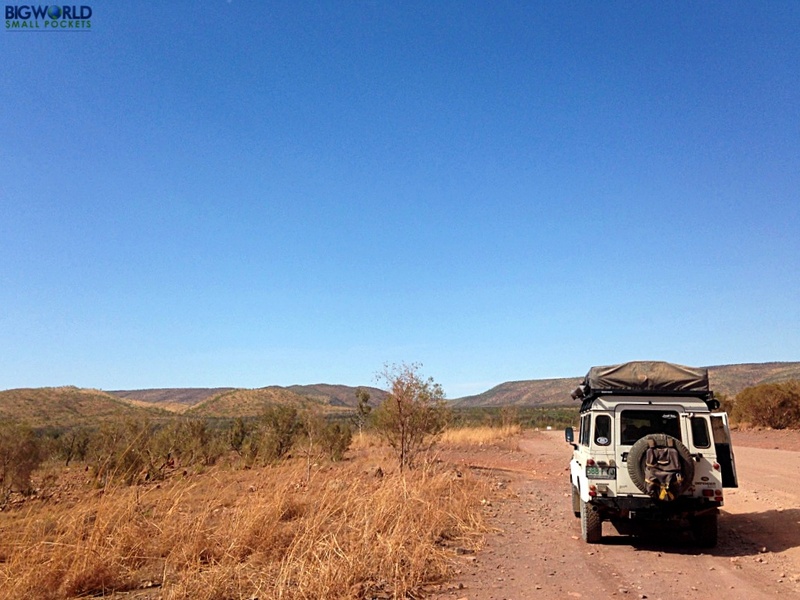 This might not be so important for you if you’re travelling through milder climates. Nevertheless, you’re probably going to have to keep some stuff cool at some point and if you’re road tripping for a while I strongly urge you to splash out on a fridge, rather than just stick to a cool box. In fact, a fridge is one of the 15 essential gadgets we couldn’t road trip Australia without, so trust me, it’s important! I hate buying packaged food and even on our LONG vegan road trip, I’ve been committed to cooking and eating whole foods. A godsend in this department has been the plentiful spice box I packed, which really helps jazz up our food and stop everything tasting the same! My spice staples include chilli, turmeric, cumin, coriander, ginger, curry powder, cinnamon, cayenne pepper, thyme, rosemary, basil and of course, good old salt and pepper. I’d also recommend slinging in a tamari sauce and maybe a hot sauce too if you can fit them! You’ll definitely value these flavoursome products a lot on the road! Rather than eat little and often, I’m going to stick my neck out here and I say, when undertaking a vegan road trip, it’s better to actually eat lots infrequently, instead. I literally tend to stuff my face twice a day on the road and have found this works brilliantly! If I have a late breakfast at say 10am, I can then just do with an early dinner around 4pm. Tea and coffee takes care of the rest! Eating twice a day is also a healthier alternative for me, especially on those big driving days when I’m doing very little but sitting in the car and can’t justify 3 meals! Any finally, the 10th tip I’ve learnt from my 8 month vegan road trip is to pack a stick blender. This is great when we get to somewhere with power, and are able to treat ourselves with a delicious smoothie! Seriously yum and super healthy, smoothies make a great vegan road trip breakfast and the required stick blenders are compact and cheap pieces of equipment to pack. And my favourite recipe? Has to be bananas, strawberries, sultanas, oats, cinnamon, tahini, chia and some coconut milk all whizzed up – delicious! 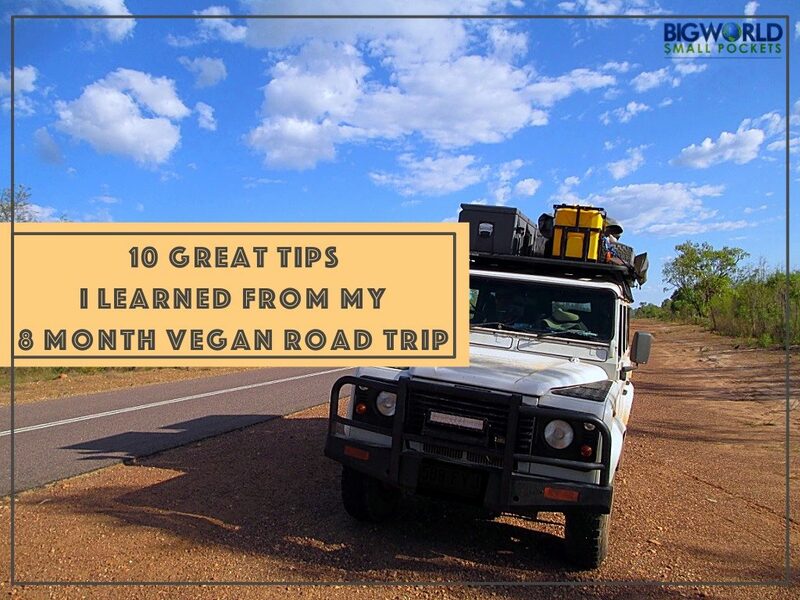 So there you have it folks, the 10 great tips I’ve learnt from my 8 month vegan road trip. 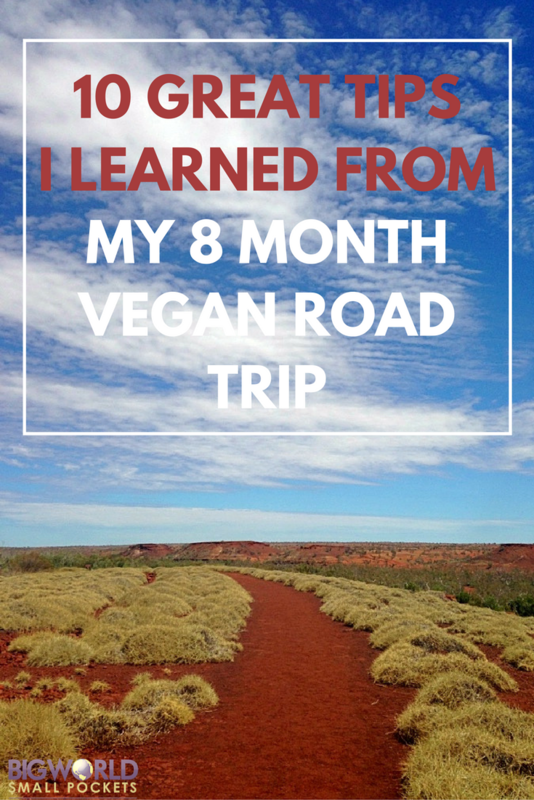 Have you been living on the road as a vegan or vegetarian too? 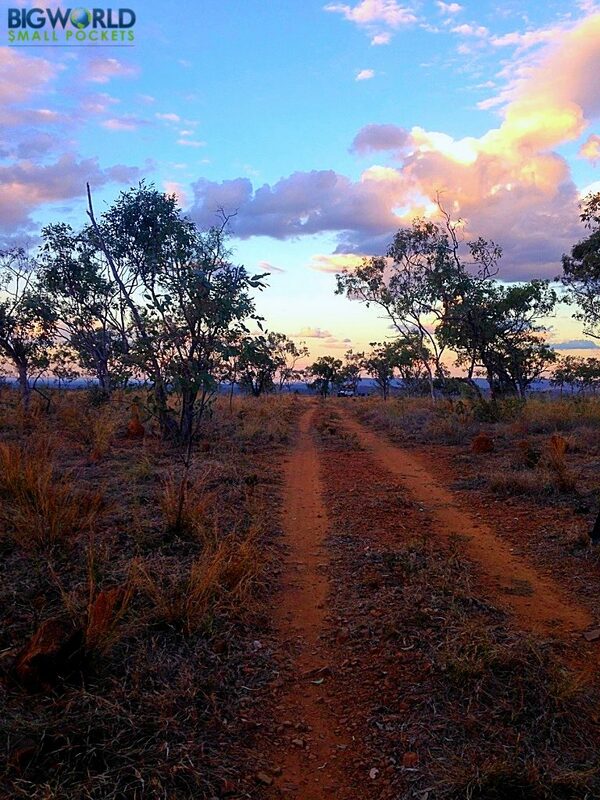 What are the best bits of advice you’d pass onto your fellow no-animal nomads?